Want to be notified of new releases in CTMM-TraIT/CLUC-Data? Cell Line Use Case (CLUC) Dataset is a set of privacy-free high-throughput biomolecular profiling data provided by TraIT. This dataset serves as test data for developing and testing data management systems of translational research without the issues of privacy. 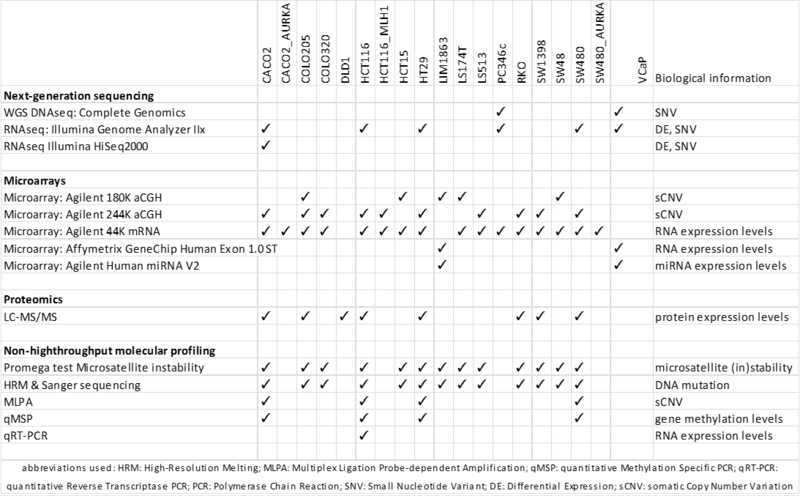 The dataset includes results obtained from various high-resolution molecular profiling technology, such as microarrays, next generation sequencing and tandem mass spectrometry for several human cell-lines. Both the raw and interpreted data have been made available for testing purposes of biomedical research IT platforms. The raw data are made public in EGA via this link. You need to contact EGA Helpdesk for access to the data. Interpreted CLUC data are organized and uploaded into tranSMART v16.1. You can get a copy of tranSMART-ready data from this link, current version of tranSMART-ready data is also 16.1 How to load tranSMART-ready data into tranSMART? How to cite the CLUC data? Currently, we are preparing a data submission manuscript to fully describe and release the CLUC data.